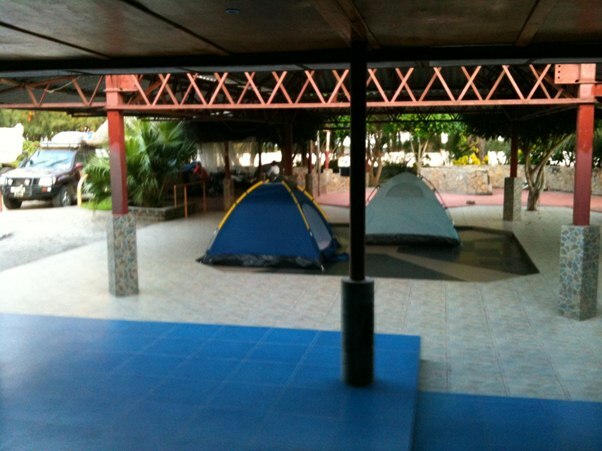 Instead of our planned trip to Macuba the teams decided to change this to the coastal town called Quilamane . The trip let us along a very scenic road with the huge Gorongosa mountain majestically looking down on us at the right hand site. More and more African styled shops appeared on the side of the road – selling nuts, tomatoes, goats and chicken. We filled up all vehicles just outside the camp and thereafter proceeded at full speed north towards the Zambezi River bridge. Within 1 hour team Lipstick rolled over 2 sizable snakes of about 1.6m length. They were extremely green and Andre decided that this must be from the green mamba species and that we better check later whether they do not hide under the motor as they were no longer visible in the rear mirror due to dust and speed. 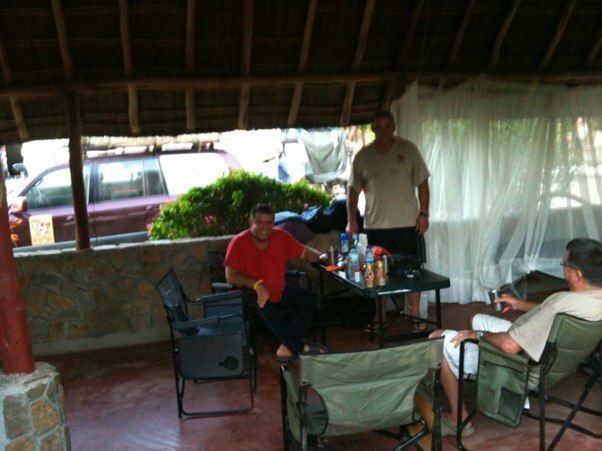 We arrived at 13.30h in Quilamane and found a nice restaurant on the beach called Rafebe. Soon team Bulldog, Icevan, Halfway and Ivory also arrived and the table was loaded with prawns, calamari peri peri chicken, Vino verde and other stimulating liquids. Our next stop and overnight camp was about 30 km away and called Zalala camping and lodging. On arrival we found that this place was closed but looking great. We convinced the local security guard to open the gates and set up camp on the verandah and outside dancefloor. We assume that this place was closed for the low season as it all looked like a great resort. We used the outside toilets with the security guards carting buckets of water as the water connection was also cut off. Upon setting up camp in this deserted lodge we heard a very loud chorus of frogs nearby and assumed these must be special frogs that start croaking earlier in the afternoon than normal ones do. Upon investigation by our in-house biologist Mark Baxter it was however established that these creatures were indeed a massive flock of crows frolicking in the casuarina beach trees. During the night we found that this place is also a favourite for swarms of mosquitos and Andre sprayed half a bottle of Doom into his tent and therefor had to keep his head outside due to lack of breathable oxygen. 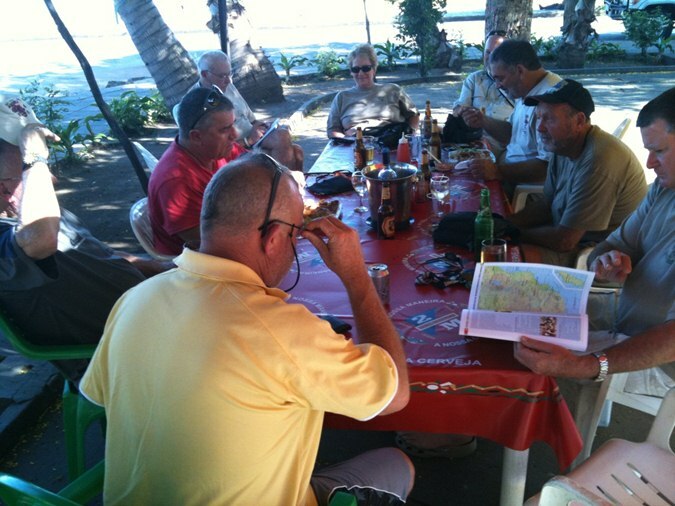 The teams satisfying their thirst and hunger in Quilamane …. Whereas team bulldock made themselves comfortable on what we assume must be the dance floor of this deserted piece of holiday accommodation..